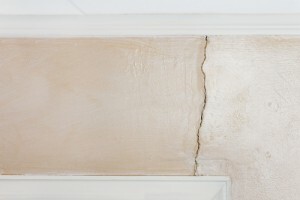 We fix cracks in the drywall, ceiling and foundation walls, as well as doors that stick shut, and sinking and unlevel floors. We install internal and external drain tile systems to keep the water out of the basement. We also install sump pumps. Our basement wall services repair bowing walls, reduces pressure on foundation walls and wall anchors to provide extra durability. We are the best in the business at raising homes and rebuilding foundations. We provide homeowners in Nashville with our warranted foundation repairs so that each and every home we repair is stabilized and safe for living. 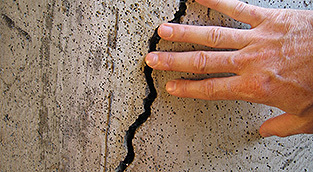 If you notice any revealing signs of foundation problems, contact us for a free foundation repair estimate. Our services include foundation repair, basement waterproofing, retaining walls, mudjacking & concrete leveling, crawlspace waterproofing, crawlspace encapsulation and foundation restoration. Get the best care for your home’s foundation. Call us today for a free estimate! If your walls are cracking, basements are leaking or if you suddenly are not able to open some doors in the house…Call Us! We’ll fix it for you. Don’t wait for the walls to cave in before you call. Catching a foundation problem early can save you thousands of dollars. 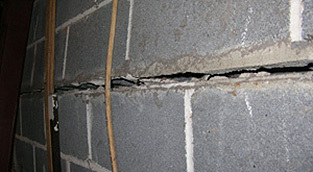 Small foundation repair left alone will eventually turn into large problems. 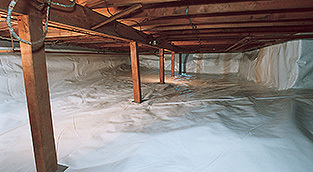 We can completely waterproof and encapsulate your crawl space. Call us today for more information on our crawlspace services.